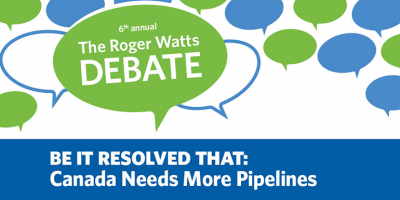 Students, faculty and the public are invited to watch UBC Okanagan’s top debaters tackle what may be the most controversial issue in Canada today—Be It Resolved That Canada Needs More Pipelines. In our increasingly interconnected world, people around the globe choose to move for many different reasons. Some do so in order to escape poverty, war or persecutions. Others seek new opportunities through jobs, study, family reunion or improve their quality of life. Thanks to technology, the world of work is changing. A new wave of disruption is impacting traditional jobs, industries and business models. Canadians are increasingly employed in non-traditional industries, working flexible hours and using technology to change the way they work. 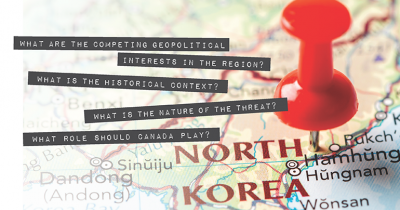 UBC Okanagan is hosting a day-long symposium that will bring together experts on North Korea, including Canada’s former ambassadors to North Korea and China, the Consul General of the Republic of Korea, and several Washington, D.C.-based experts of the region, who will discuss the current political international climate. 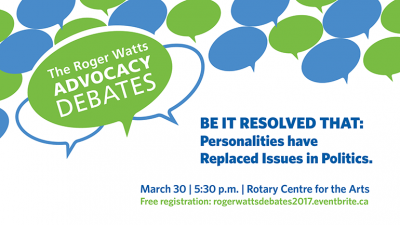 UBC students debate: Have personalities overtaken issues in politics? The Donald is in the White House. And people are wondering—has the political world been colonized by celebrity culture? Join Werner Wnendt, German Ambassador to Canada, as he presents his country’s perspective on the human crisis taking place. Shortly after Wnendt speaks, Christopher Kerr, with Citizenship and Immigration Canada, will outline the Canadian point of view.